The top 12 of 2012, in no particular order. Walk the streets of any city, and after a few hours you begin to think you have a feel for that place. But out of curiosity, you seek out a higher view. You find a nice hill to climb, or find a statue or a building with a dominating view, and you get a totally different feel of the place. On the ground, you are like ants, and you get an ant's eye view. On higher ground, you soar like a bird, and then, only then, can you really begin to see and understand what a place is about. Read more at link below photo! On the ground, you experience the encroachment of nature, the streets and parks and playgrounds mutating into paths through a wooded forest. In such an environment, there couldn't possible a threat of radiation. But on high, you get a distinctly different view. You see a city and what certainly was a wonderful place to live and to raise a family. And you see a place, that at the height of its grandeur, was abandoned to forces beyond its control. You see what was, and envision what could have been. And you get a firm reminder that no matter how much man likes to think he can control nature and the planet, that it is all transitory. One mistake, one careless moment, and what took decades to build is abandoned to the capricious will of Mother Nature, and left to return to her domain. Looking at Pripyat from on high, one sees destruction and man's work falling apart. But what actually happened here? Some might think the Chernobyl accident caused the blown out windows and the crumbling facades. But you'd be wrong. And twenty-six years of neglect and weathering only explains a part of the story. The story of Pripyat's destruction is much more basic than that. Most of it was manmade. Here's what happened. A long time after the initial evacuation, former residents were allowed back to gather furniture and belongings of their former life. As long as it was not overly radioactive and as long as they could transport it themselves, they were allowed to remove it. Parts of Pripyat were further occupied on and off for an additional 12 years, because clean-up workers needed a place to stay. Clean-up workers took whatever furniture and other goods they needed. Next were the looters. When the Soviet Union fell, millions were thrown into poverty. And poor people did what poor people have always done. They did whatever they could to survive. The government clamped down hard on looters, because all kinds of radioactive goods started to appear on the black market. But the damage to Pripyat was done. Later, once radiation levels had dropped substantially, the government awarded contracts to salvagers to remove and recycle anything of value that fell below a certain level of radioactivity. Pipes, radiators, electrical wiring, window frames. 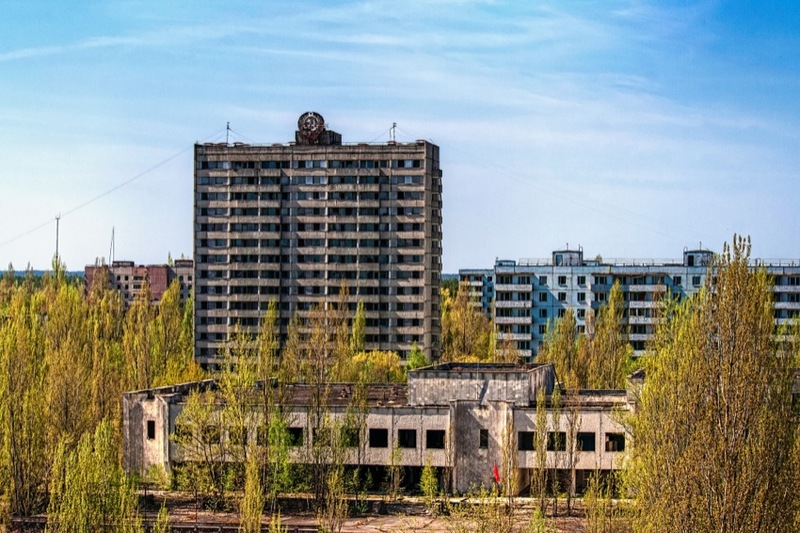 And lastly, for many years, former residents of Pripyat were allowed to return for one day a year, to reminisce about their former homes and lives. Families would bring their teenagers, but teens, being teens, would drink and smash whatever they could find.